The project continues! 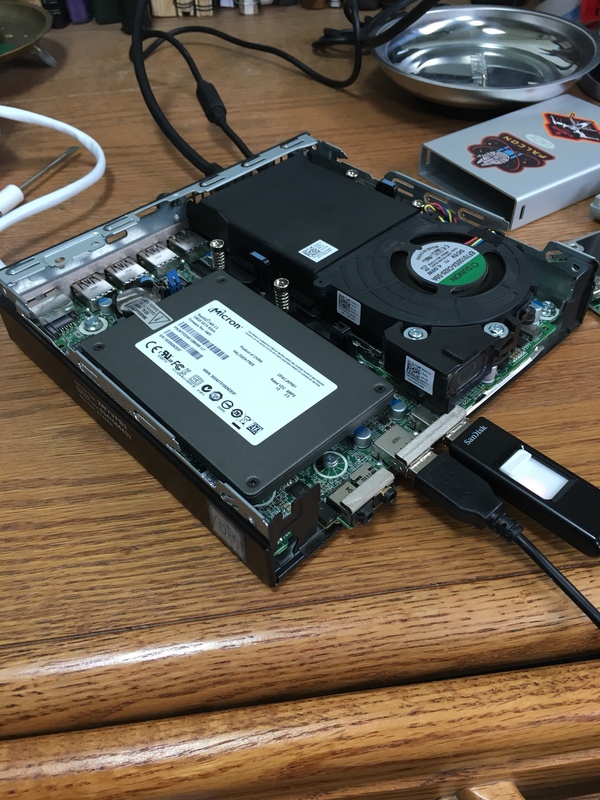 The first step was to get a Super-Small Form Factor (SSFF) PC that had the hardware to run Steam games on top of Debian Linux, which is what SteamOS is a fork of. Luckily, I have a good friend who tends to collect cast-off hardware. The first model I tried was a Lenovo ThinkCentre M92p Tiny Desktop. It has an Intel Core i5-3470T processor at 2.90GHz. The processor has an on-board graphics card, which was good enough to handle what the project requires. We cobbled together 8 gigs of RAM from a couple of different boxes. It has onboard 802.11n and bluetooth, but only VGA and DisplayPort outs, when the screens I was looking at were all HDMI. Also, during install, my friend and I could only get video to output to the VGA port, which was not going to work. So, on to the next one. The second model I tried was a Dell OptiPlex 7040 micro. It’s got an Intel Core i5-6500T processor at just under 3GHz, which also has an integrated graphics card. This one already had 8 gigs of RAM installed, but no wifi or bluetooth. It didn’t have a hard drive, so I pulled a 128 GB SSD out of my LaCie Rugged enclosure and crossed my fingers that the hard drive space requirement was able to be fudged. It was! I hooked it up to an external monitor, keyboard, and mouse. SteamOS installed, with no error, and booted right up! There was some serious screen twitching going on with the video card (Skylake! *shakes fist*), but a configuration change fixed that completely. I installed some games, and was grinning ear to ear at how smoothly they were playing. Next Friday – Testing with the controller! Ordering and testing the screen! Also a wireless and bluetooth card!